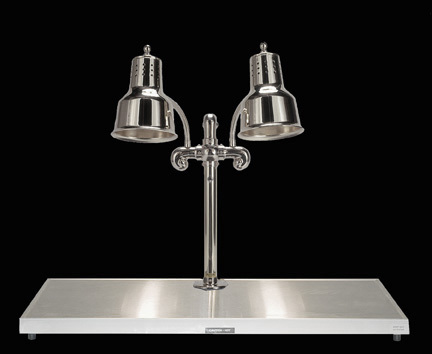 Includes two single Heat Lamp fixtures. 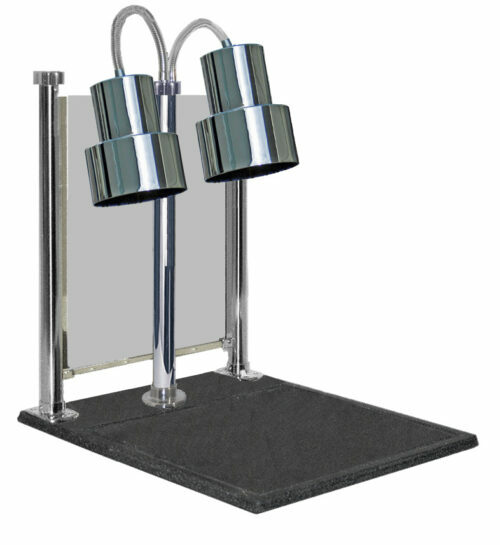 Standard finishes Mirror Polished, or Brushed Stainless Steel. 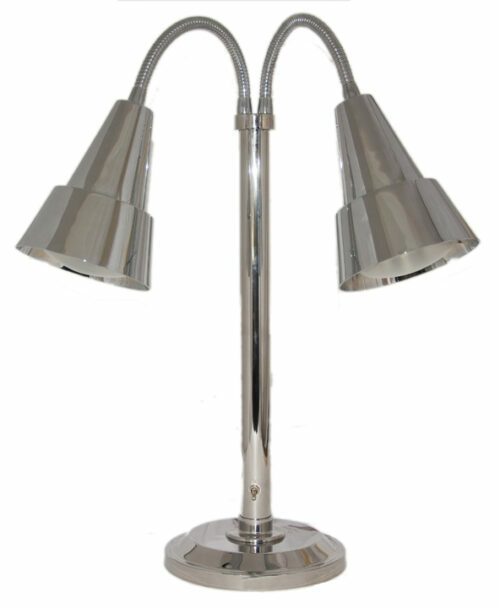 Any finish available. 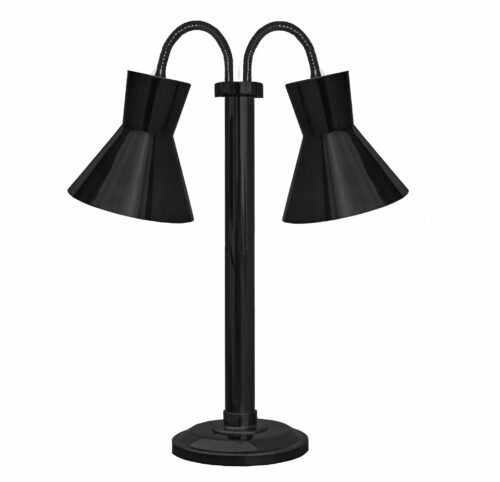 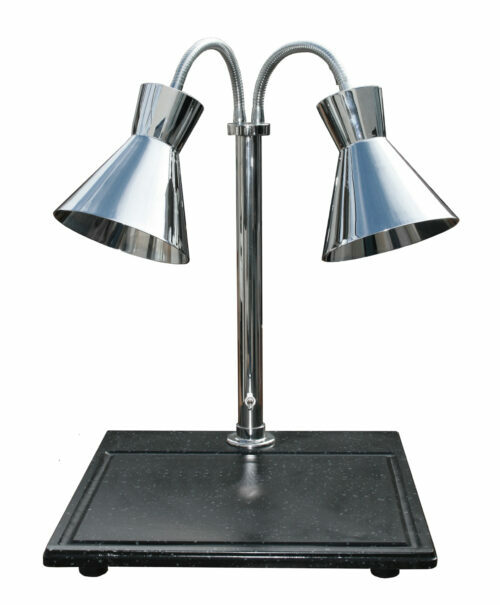 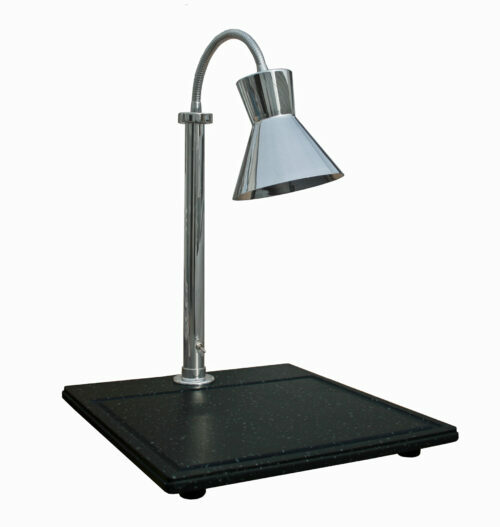 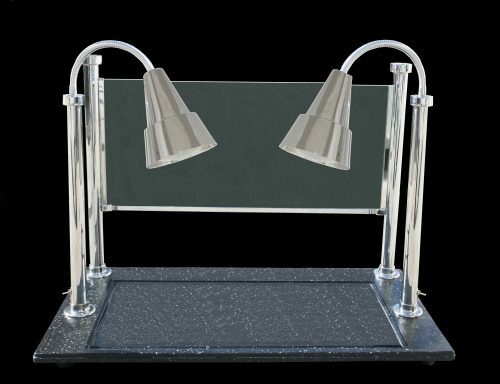 Dual Freestanding Heat Lamp on 9″ Solid style portable base with 300 series shade and matte black finish. 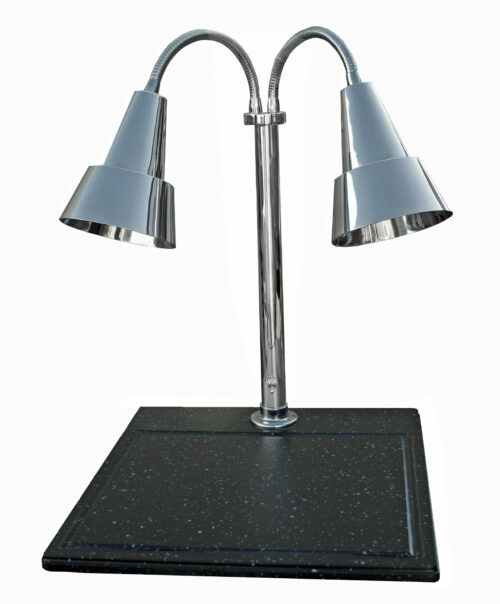 On 20″ x 24″ synthetic granite cutting board with 600 series shades.